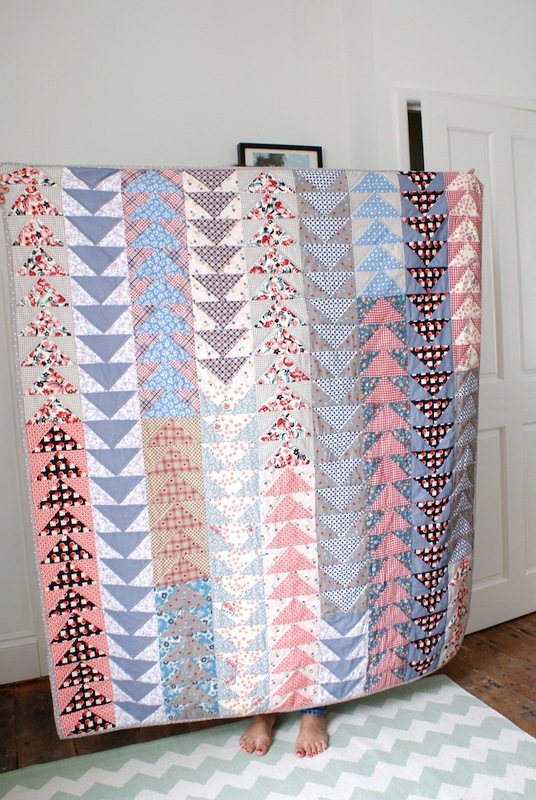 MessyJesse - a quilt blog by Jessie Fincham: Flying Geese Quilt Finish! Phew! I finished my sister's flying geese quilt just in the nick of time for her arrival over the weekend! I even had to do some hand stitching for the binding during the daytime!? which is kind of weird for me. I'm used to enjoying that task leisurely in the evening's while watching something on TV - like every quilter does, right? I'm so glad it's finished now, pressure's off! It's not something I would have thought of for myself but I do like the look of it, and actually I like it loads more now looking back at the photo's while writing this post, though to be honest I would have liked to have swapped around a couple rows to change the colour placement of it a little. But she seems to like it, so that's the main thing! and I always find it's so hard making something for someone else's style. I backed it in Pam Kitty Love grey dots, which has a grid background so I thought it tied in quite nicely with the some of the checkered and gingham fabric from the top. I used the same fabric for the binding too, I haven't done that before - so I really like the look of it blending in for a change and not being such a feature. For the quilting I did some straight line stitching up and down the triangles to make a zig-zag. It looks really good from the back with that style, unfortunately I didn't snap a picture as I had to take these photo's in about 5 seconds before they were leaving! That PKM looks great on this project! Good job! It is absolutely perfect! I would not change a single bit of that piecing! Looks fantastic...have a lovely weekend. It's fabulous! Great colour and such a fun, bold design. Did you want to adopt a sister? It is just stunning, I love it! You always pick the best fabrics. So beautiful! I love this quilt too! 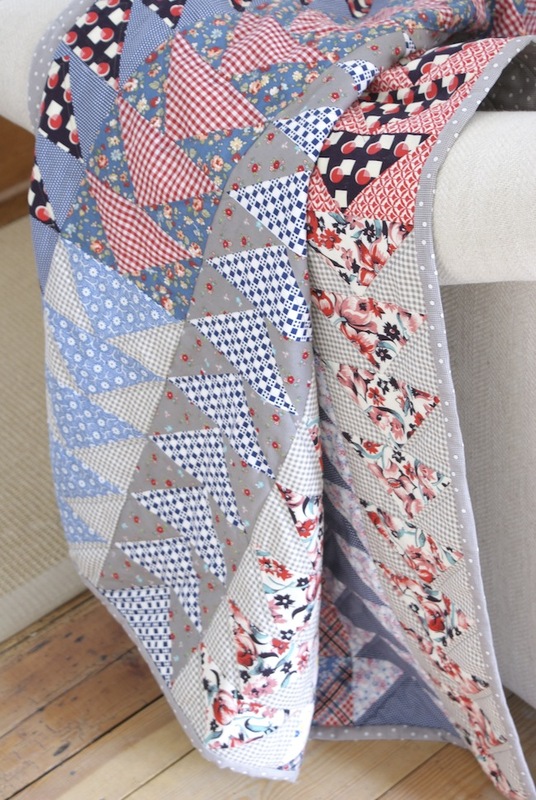 You have used the simple flying geese block effectively with your clever choice of fabrics! The grey mixed in with the other prints is so perfect! LOVE it! Really pretty! Love the fabrics! What a really lovely quilt, the colours are fab!! excellent choice of tradition and modern. a great reminder simple is best!! well done! Your quit is amazing, so much detail. I love the colors, too. Come visit my humble little blog while I'm having my Give-A-Way. 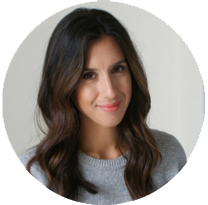 I just purchased a new sewing machine and I'm I was out looking for fresh ideas when I found your lovely blog. This is beautiful, I love the design, fabrics and colours. Did you bind separately or just bring the backing round to the front and stitch down? Love your fabric choices, especially the gingham checks.